As fans prepare to watch the August 8 first-season finale of TNT’s Dallas, I thought it would be fun to take a trip down memory lane and ponder the cliff-hangers that stood out as the best of the bunch during Dallas’ original 13-season run. Dallas didn’t invent the TV cliff-hanger, daytime soaps have long served up weekly jaw-droppers to keep fans panting over the weekend to find out how their favorite characters would fare upon their return Monday afternoon. What Dallas did was inject it with a pathos that changed primetime television forever. Nowadays, nearly every show ends its season with a cliff-hanger of sorts. When Dallas aired its iconic Who Shot J.R. season ender, it set a high standard that the show itself arguably never matched. Now without further ado, I present my picks for the five best Dallas cliff-hangers. As it happens, most of them involved shootings. The Ewings (and their enemies) just loved to settle their differences with gunfire. The gold standard by which all primetime cliff-hangers are measured. The beauty of the Who Shot J.R. mystery was in its simplicity. No earthquakes, fires or Moldavian terrorists were needed when the meanest oil baron in Texas was shot by a mysterious assailant just before the summer of 1980. The Dallas actors had hit their stride as their iconic characters and the show was becoming the most popular one in the world. By the time J.R. got pumped full of lead he had crossed everyone on the show so the list of suspects was longer than the dance line of The Dallas Cowboys Cheerleaders. The mystery became a global obsession that took even longer to be solved due to a Hollywood writers’ strike. J.R.’s disgruntled mistress Kristin was finally revealed as the trigger woman and the rest is television history. This zinger of a season ender packed a wallop with its twist on a classic. The storyline of Katherine Wentworth’s obsession with Bobby had simmered for two seasons and was destined to end with a bang, quite literally. The psychotic Katherine slowly unraveled over the course of the 1983-1984 season and drew up a short list of people with whom she had scores to settle. Bobby, who seriously underestimated her case of the crazies, was number one with a bullet (or two). When TV viewers saw what appeared to be another attempt on J.R.’s life you could imagine them thinking: They’re not seriously doing this again. Are they kidding? This is so corny… Oh my God! It’s Bobby! The Dallas writers zigged while the rest of us zagged and served up a juicy capper to one of the show’s most captivating plots. By the 1987-1988 season, Dallas had pretty much run out of creative steam but the season was notable for marking the turning point in J.R. and Sue Ellen’s on-again-off-again relationship. Sue Ellen had learned to deal with J.R. as an equal after her evolution into a wily businesswoman as owner of Valentine Lingerie and when J.R. got involved with heiress Kimberly Cryder to gain control of Westar Oil, it was the last straw. Instead of hitting the bottle, Sue Ellen had her own affair with her business consultant Nicholas Pierce and joined forces with Kimberly to turn the tables on J.R. during his hostile takeover bid for Westar. A vengeful J.R. hid John Ross from Sue Ellen and their impasse led to a violent confrontation during which J.R. accidentally pushed Nicholas to his death over a high-rise balcony and a shocked Sue Ellen shot him. The scene where Sue Ellen calls the police to report the shooting felt a bit anticlimactic but the twist of Nicholas’ death plunge was genuinely shocking. Knowing that Victoria Principal was leaving the show gave this season finale emotional heft and made the closing minutes of Pam’s drive a real nail-biter. In a cruel twist of fate, Pam had just learned from her doctor that an experimental treatment stood a good chance of enabling her to carry a baby to full term. Poor Pam had spent the 1986-1987 season fretting over her rival Jenna’s new bond with Bobby after giving birth to his biological son Lucas. Now Pam had a chance to even the playing field but it wasn’t meant to be. 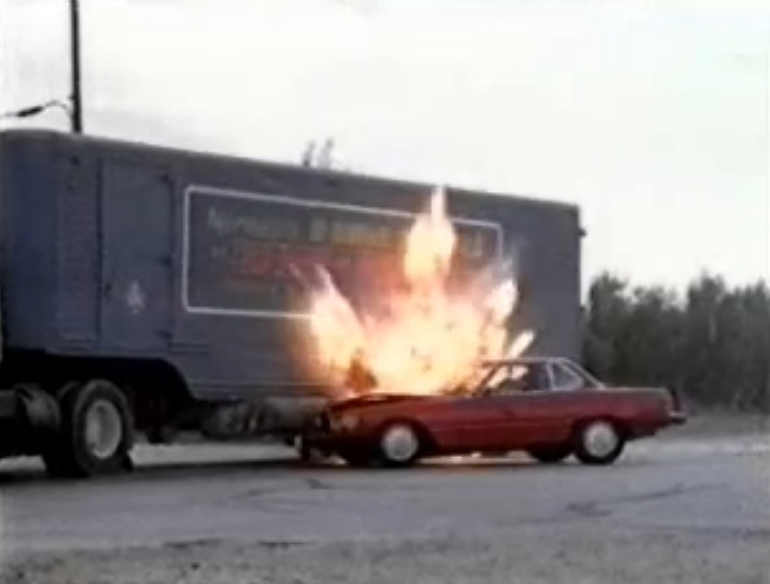 After a scary near miss with a jeep full of rowdy men, Pam shared her happy news with Bobby over her car phone and seconds after hanging up drove straight into an 18-wheeler, exploding in a huge fireball. Patrick Duffy’s Dallas swan song was easily one of the most heart wrenching episodes ever. Fans were prepared for Bobby’s departure since Patrick’s decision to leave the show was well publicized. The big question was how the writers would stage his exit. The answer was a stroke of storytelling genius that gave the cast, especially Patrick, Victoria and Larry, the chance to do some of their finest work on the show. The 1984-1985 season followed Pam and Bobby as they slowly found their way back to each after breaking up due to the machinations of J.R. and Katherine Wentworth. Bobby, who was to marry Jenna Wade, realized that Pam was his one true love and raced to her side to propose once again. Pam happily accepted and the two spent one final night together before the fateful morning in which a disguised Katherine, who had returned to Dallas to ruin his marriage plans with Jenna, drove toward Pam with deadly intent. Bobby saw the car racing toward Pam and pushed her out of the way, getting run over in her place. 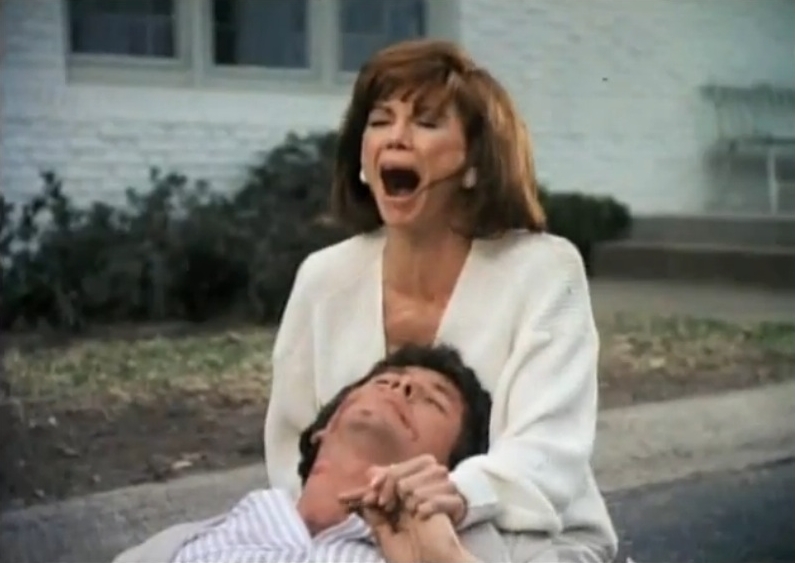 Pam’s tortured cry as she cradled his broken body became a haunting image in the Dallas history and fans were left to mourn the end of one of TV’s great love stories. Until Pam woke up from her dream, that is. Do you have a favorite Dallas cliff-hanger?